Affordable and Striking Hotel with Decene Decor. Hotel Ambrosia is an affordable and striking property located in Malibu Town, Sector 47, Gurugram. The nearest metro station is Huda Metro station.The decor of the room is plain but elegant. The rooms are spacious and well-lit.Each room is equipped with free Wi-Fi, AC, geyser, and TV. 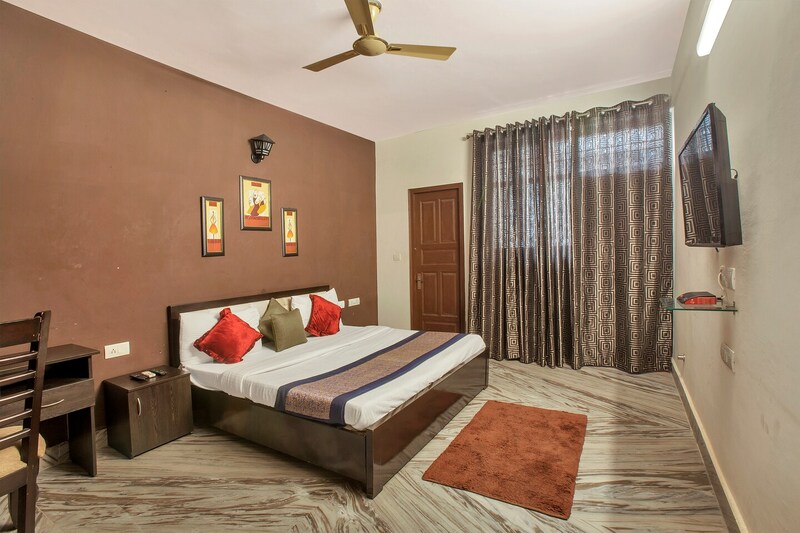 The hotel also has a seating area, power backup, laundry facility and has CCTV Cameras for Surveillance.The nearby restaurants and market spots in the vicinity are Hotel Malabar, Norenj, Tandoori Innings, Pushtaini, Fresh From Oven, Monte Carlo, AVA Court, Raheja Mall, Omaxe Celebration Mall, and Big Bazaar.